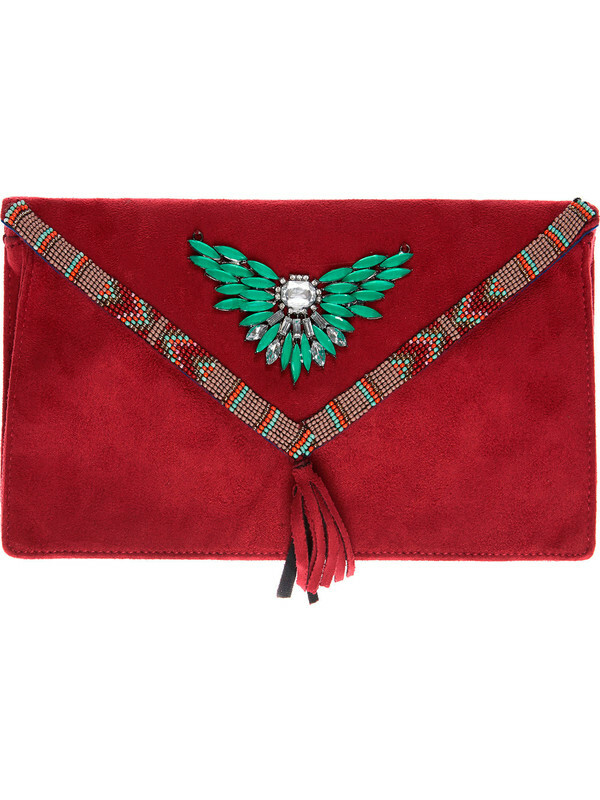 Hipanema red Handbag made of suede faux leather with ethnic decorations. This is a handy and passpartout handbag, equipped with a comfortable shoulder strap that can be hidden inside when not needed. The Clutch Hipanema is an ethnic style trendy accessory, decorated with colored stones and beads sewn on top. It can be the perfect bag for leisure time if shouldered, or it can become a glam accessory for a party to carry by hand.